Gaming is an important part of our childhood experience. Heck, even adult experience. So this is where Cohesion XP 10 Gaming Chair steps in. Making sure you have the right equipment so you can fully immerse yourself in the gaming world. No-one likes to be sitting for a long time in the same position and feeling uncomfortable. That’s why the good chair is vital in the long run. If you only play for 30 or 40 minutes, it may not matter so much. But for extended gaming sessions, you’ll need something very comfortable. The Cohesion XP 10 gaming chair is one of gaming chairs that should provide comfort even in long gaming hours. It has a sleek design to keep you focused on your games and not on your aches and pains. Price is a vital factor in determining the overall value of game chairs. High price does not always mean that you are getting the best value for your money. But the higher quality of ergonomics, comfort and style can make a higher priced gaming chair an better overall value. Despite being advertised as comfort gaming chair, Cohesion XP 10 is not according to some buyers. There is no padding or batting on the bottom chair edge where the back of your legs rest. After a couple of weeks using the Cohesion XP 10 gaming chair, lower back support and seat will probably sink a bit. This is a common problem and can be countered by placing a cushion. 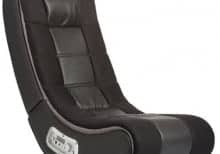 As armrests are not spaced far enough, this gaming chair is more intended for younger users. Bu that doesn’t mean adults cant use it. It just means they will not be very comfortable. It’s not heavy. So moving it around shouldn’t be a problem. It also can be folded at any time to save space. There is no assembly required when purchased. Chair doesn’t come with speakers or a wireless audio connection so you will have to use your device. 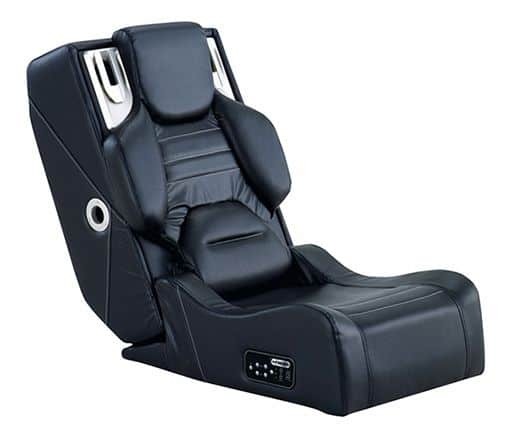 If you are purchasing this gaming chair, then consider buying Ear Force X12 Gaming Headset and Amplified Stereo Sound to compensate a lack of speakers and audio connection on XP 10. All in all, this is a great product for younger people. It probably doesn’t have the padding and back support needed for adults, but kids seem to sit in it just fine. It is little pricey considering it doesn’t have a big amount of features any serious gaming chair should have like the sound system. Cohesion XP 10 gaming chair can be used for casual gaming sessions for your kids and if you don’t need all fancy features. If you are planing to have serious gaming sessions and want more from gaming chair, consider some xRocker models of chairs. They may be little expensive but worthy in a long term.